Came across this Hans Kohler device - looked at the PDF available at Peswiki and googled a few images. It looks interesting? "[Naval Captain] Hans Coler is the inventor of two devices by which it is alleged that electric energy may be derived without a chemical or mechanical source of power. Since an official interest was taken in his inventions by the German Admiralty it was felt that an investigation was warranted, although normally it would be considered that such a claim could only be fraudulent... Accordingly, Coler was visited and interrogated. He proved to be cooperative and willing to discuss all details of his devices, and consented to build and put into operation a small model of the so-called Magnetstromapparat [Magnet Current Apparatus]... With this device, consisting only of permanent magnets, copper coils and condensers in a static arrangement, he showed that he could obtain a tension of 450 mv for several hours... One model is said to have worked for three months locked in a room in the Norwegian Legation in Berlin in 1933... The greatest tension obtained was 12 volts." Coler also invented another device called the Stromzeuger (Current Generator). He claimed that, "with an input of a few watts from a dry battery an output of 6 kW could be obtained indefinitely." The last and largest model which Coler built was destroyed by a bomb in 1945, but "Coler expressed his willingness to construct it, given the materials, the time required being about 3 weeks." The public version of the BIOS report does not state whether or not this was done. However, Bill Lehr (d. 1996) informed this writer that a close friend of his once saw a Stromzeuger in operation in the offices of MI5 in London, and a copy of the original BIOS report which was over 200 pages in length. The declassified report is a mere 30 pages long. Hurst and Sandberg also interviewed Dr. F. Modersohn, who had been collaborated with Coler and financed his research for 10 years; he corroborated every detail of Coler's story. The Magnetstromapparat was developed by Coler and von Unruh (who had died by 1945), and they were assisted by Franz Haid of Siemens-Schukert. Haid also built a working model which was seen in operation by Dr. Kurt Mie (Berlin Technische Hochschule) and Herr Fehr, who was the assistant of the renowned scientist Fritz Haber. "In our presence, Coler built an apparatus as shown in Figures 1-3. It is to be noted that some of the magnets are wound in a clockwise direction looking at the N pole (called left) and others in an anti-clockwise direction (called right). The magnets were selected to be as nearly equal in strength as possible, and the resistance of the magnet-coil combination was checked after winding to see that this also was uniform (about 0.33 ohm). The physical arrangement was as shown in Fig. 2. A mechanical arrangement of sliders and cranks for separating the magnets evenly all around was made up. "When the magnets were at a separation of about 7 mm, the first small deflection was noted. The switch was closed and by slow adjustment of the sliding coil, and by increasing the separation of the magnets to just over 8 mm, the tension was raised to 250 millivolts. This was maintained for another 3 hours when a soldered tag became disconnected, and the meter slowly dropped back to zero. Soldering up the broken connection did not restore the tension. The magnets were closed up and left overnight, and the same procedure for adjustment was repeated on 2-7-46. After about 3 hours a deflection of 60 millivolts was obtained; this was maintained for more than 30 minutes, but then decreased to zero when further adjustments were tried. "During all this work the model was completely open, and nothing could be hidden in it. The breadboard and meter could be picked up and moved round the room, tilted, or turned, without effect. "The apparatus would appear to be to crude to act as a receiver of broadcast energy, or to operate by induction from the mains (the nearest cable was 6 feet away), and the result must for the moment be regarded as inexplicable"
"[Coler was of the opinion that] ferro-magnetism was an oscillating phenomenon, of frequency about 180 kilohertz. This oscillation took place in the magnetic circuit of the apparatus, and induced in the electrical circuit the frequency which of course depended on the value of the components used. These two phenomena interacted, and gradually built up the tension... Coler stated that the strength of the magnets did not decrease during the use of the apparatus, and suggested that he was tapping a new sort of energy hitherto unknown "Raumenergie" (Space-energy). "It was judged that Coler was an honest experimenter and not a fraud... The result obtained was genuine insofar as could be tested with the facilities available, but no attempt has yet been made to find an explanation of the phenomenon." "The basic principle is that an electron is to be regarded not only as a negatively charged particle but also as a South magnetic pole. "The basic element is that of an open secondary circuit, capacity loaded, inductively coupled to a primary circuit. 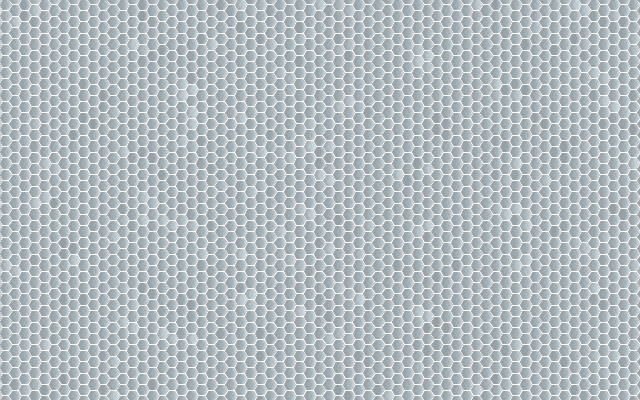 The novel feature is that the capacities are connected to the secondary core through permanent magnets, as shown in Figure 4. "It is claimed that, on switching on the primary circuit, "separation of charges" takes place, i.e., Magnet 1 becomes positively charged and Magnet 2 becomes negatively charged, and that these charges are "magnetically polarized" when they are formed, owing to the presence of the magnets. On switching off the primary circuit a "reversing current" flows in the secondary, but the magnets "do not exert a polarizing effect on this reversal". "Two of these basic elements are now placed together making a double system or stage with the plates close together in parallel planes as shown in Figure 5. The secondary windings are both exactly equal and wound in a direction such that on switching on the primary coil the electrons in the secondary coil flow from P1 to P2 [P = Plate] and F1 to F2 [F = "Flat Spool"]. "It is then stated that system merely has an inducing effect, and the useful current comes into existence in the system. "A single stage cannot be effective but two stages connected so that the numbers of effective North and South poles are equal will provide a basic working arrangement. More double stages can then be added to provide higher outputs. "The apparatus consists of: a double row system of copper plates, a double-row system of flat spools, and a system of electromagnets, to whose cores silver wires are attached and through which branch currents of the plate-system are conducted. For each of the three systems a 3-part accumulator battery of 6 volts/6.5 ampere-hours capacity is provided. The plate-circuit and the spool circuit are parallel so that the two batteries appertaining thereto can also be replaced by a single battery. This was ascertained by switching off the one battery while the apparatus was working. "When asked why two batteries were used at all, Capt. Coler declared that for starting the apparatus a double battery is necessary to get a second charge-impetus after exciting with the one battery, and this for releasing the peculiar character of the apparatus. A test confirmed this assertion in as much as the mechanism could not be started with the single battery; on the contrary, the "adjustment" of the mechanism got disturbed. "The consumption of energy in the external circuit is greater than the energy taken from the batteries. According to the circuit, the magnet-exciting circuit is fed by a special battery, completely separated from the other two circuits. Consequently, a direct comparison of efficiency and consumption of the apparatus would mean that only the sum of current of the plate circuit and of the spool circuit would count. "The reception of current from the two batteries in this case was 1.7 watt while the consumption of the bulbs amounted to about 8 watt. Especially striking in this connection is the considerably higher current-power in the bulb-circuit being about 12 times bigger than the current coming from the two batteries." "The apparatus in question principally consists of two parallel connected spools, which being bifilarly wound in a special way, are magnetically linked together. One of these spools is composed of copper sheets (the spool is called the plate spool), the other one of a number of thin parallel connected isolated wires (called: spool winding), running parallel at small intervals to the plates. Both spools can be fed by separate batteries; at least two batteries are necessary to put the spools to work. "The spools are arranged in two halves each, according to the bifilar winding system. The batteries are attached to the starting points, and the current-receivers to the parallel connected ends. Inter-communications are connected between parallel windings of the two halves of the plate spool which contain iron rods with silver connections. These rods are magnetized by a special battery through applied windings (called: exciter windings). "According to the statement of the inventor, the production of energy principally takes place in these iron rods, and the winding of the spools plays an important part in it (The form of the spool is a long small rectangle). "The inventor stated that the apparatus in its installation was very sensitive, especially with regard to the magnetic conditions of the iron cores, and that a wrong treatment [internal measurements] would cause interferences which would be wearisome and very difficult to be eliminated. "Installed in the apparatus were 3 current meters for the currents from the 3 batteries, and furthermore current and volt meters for the current receivers. One and two bulbs respectively were employed for this purpose. "As a striking fact it should be mentioned that the spool circuit having been at first always switched on alone, received a current of 104 mA. As soon as plates and exciter circuit additionally and simultaneously were turned on, as, according to the inventor, the apparatus demands it, the current in the spool circuit comes down to about 27 mA. "After the present examination, carried through as carefully as [possible], I must surmise that we have to face the exploitation of a new source of energy whose further developments can be of an immense importance. I believe that a further development of the apparatus will prove justified and of great importance." "The apparatus consists of three principle circuits which are inter-wound and inter-coupled in a peculiar way. Some of these are divided again into single subsidiary circuits which evidently have all to be brought into resonance with one another. "The principal circuits (called the anchor) in which the energy gain probably occurs, consists of metal plates between which transformer coils are connected, the whole being connected to one large coil plate. On each of the single windings on this is coupled a large flat coil (called field). These flat coils are interwound in two groups; these groups represent the turns of a transformer. This couples, on one hand on the flat coils of the other group (as secondary coils), and on the other hand on the anchor-plate coil, which is placed between them. The third electrically independent circuit (called the directing circuit) regulates this transference. Figure 1 [not included in the BIOS Report] shows diagramatically and in plan these interwound parts. Figure 2, the so-called basic diagram, shows the connections between these different parts. This basic diagram shows the conditions necessary for self-interruption. In consequence of this arrangement, different types of currents are created in different conductors (pulsed DC, AC, etc.). "The transformer coils, connected between the anchor plates, are connected in a peculiar way through thin permanent magnet rods. 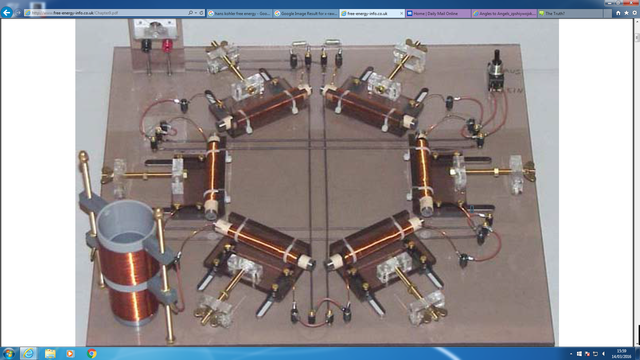 Their main object seems to be to pre-magnetize the transformer cores; it is, however, very probable that they are also connected with the Barkhausen Effect." "Due to the connecting of the batteries, a current impulse is induced in the anchor circuit which charges the plates. The discharge circuit from the plates causes electrical interruption of short duration of the battery current in the field circuit, which furthermore inductively interrupts, or changes the direction of, the battery current in the directing current for a short time. The electromagnetic field induced by this process in the directing circuit by its dissipation, induces over the field circuit a current in the anchor circuit recharging the plates, and so forth. "Due to the influence of the Barkhausen Effect each single process has an impulse-like character, and the necessary change of phase is produced to allow the regularity of the process. "Due to a source, up to the present not investigated, and not explainable by existing scientific theories, an additional quantity of energy is freed during each cycle which leads to a continual raising of the amplitude of the mutual processes, until the magnetic cores are saturated. "From the fact that in the resistance of the apparatus pulsed direct current is flowing… There is possibly an up to now unknown rectifying effect, or alternatively the gain in energy is produced only during one half of the cycle, either during the charging or discharging of the plates. The activity in the apparatus must take place in the ten oscillation circuits in a phase-like manner… No technical means were available to make the necessary tuning adjustments. "The result obtained with this experimental arrangement… was the clear proof of a considerably larger energy during opening (intake), compared with closing impulses. The [10-50%] difference is always in favor of the opening impulse… Consequently this observation can also be considered as a proof of the fact that an energy difference exists. [There is a] considerable, but extremely short, energy peak of the opening impulse. My development of the "Space Energy Receiver" was based on this and was successful." In the 1980s, George Hathaway (Planetary Association for Clean Energy, PACE) constructed a Magnetstromapparat that produced 50 millivolts, and demonstrated it at unconventional technology conferences. There has been no news of further development. The Barkhausen Effect upon which the Coler inventions work is a low-field phenomenon that occurs when a ferromagnetic material is subjected to a change in the applied magnetic field. A series of discontinuous steps develop, corresponding to reversals in magnetization domain volumes from 10-10 to 10-8 cm3. The size of the discontinuities can be increased by stressing the magnet. Possibly the soft iron magnets which Coler used were subjected to such stress by ultrasonic magnetostriction from the coil windings at the 180 kHz resonant frequency. One can only wonder why British Intelligence (sic) declassified the Coler report, but we can be glad they did. If only they had seen fit to include more schematics of the Stromzeuger, because the available diagrams are woefully inadequate. At least we now know a few key facts, to wit: (1) Ferromagnetism resonates at 180 Khz; (2) The Barkhausen Effect can be amplified to provide useful power (10 Khz is another key frequency here); (3) "Some of the magnets are wound in a clockwise direction looking at the N pole (called left) and others in an anti-clockwise direction (called right)". The resistance of the magnet-coil combination was about 0.33 ohm; (4) "The basic principle is that an electron is to be regarded not only as a negatively charged particle but also as a South magnetic pole"; (5) "The novel feature is that the capacities are connected to the secondary core through permanent magnets"; (6) "There is a considerable, but extremely short, energy peak of the opening impulse". It is to be hoped that the Stromzeuger can be redeveloped, since it is a relatively simple, low technology device requiring no exotic components. It should not be left "to chance, or a happy accident", as it was for Hans Coler. Fabulous stuff...........wonderful......a science mystery to chew over. Where they talk about 'the electron is to be regarded as a South magnetic pole' reminds me of the Ed Leedskalnin Coral castle mystery. He suggested the same sort of thing, that electrical currents are also magnetic currents spiralling, corkscrewing the circuit. I'll post some links soon. If I turn a wire conductor as a skipping rope in an Electro-Static field, will that induce an alternating current in the wire skipping rope? It's going to produce an induced static charge in the wire, but not a current. But if it can be arranged that the wire moves through a field of varied intensity, then the induced charge would be varying. In other words a static field of greater intensity at the centre and the conductor moving from the lesser charge on the outskirts towards the greater charge at the centre and away again. This would produce a static charge varying in amplitude with respect to time in the wire, if the wire motion was continuous, like a skipping rope, the static current would shuffle along in the wire, in other words, you would now have a moving, varying static charge?